It is the opinion of USARK that SB 310 as passed by the Ohio General assembly represents one of the most restrictive and vague pieces of legislation in the United States regarding reptiles. It was railroaded through by Governor Kasich and Senator Balderson with the support of Jack Hanna, the Columbus Zoo and various special interest groups. The Director of the Ohio Department of Agriculture has the authority to suggest addition of any animal to the ‘restricted’ or ‘banned’ lists through the use of a Concurrent Resolution. This is NOT full legislative consideration. It requires NO Hearings and NO Public Comment. This type of resolution can be passed quickly with a simple majority voice vote. Typically, even the Rule Making process is more demanding, and would include Public Comment. The Administration has vowed to end exotic animal ownership in Ohio. To that end Governor Kasich and Senator Balderson, with the help of Jack Hanna and bill proponents, have engineered SB 310 to incrementally eliminate exotic animal ownership in the State. Once the framework of this system is put into place, SB 310 becomes a tool to easily add animals and destroy the reptile industry over time. --SB 310 stands in stark contradiction to preliminary assurances made by Senator Balderson that constrictor snakes would be unaffected by legislation, and venomous snakes would be regulated in a workable permit system that would amount to “business as usual” for the reptile industry. --SB 310 would essentially ban all crocodilians. 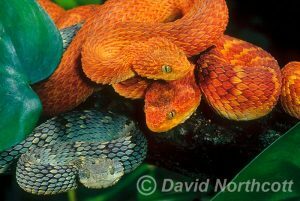 --SB 310 creates a permit system for venomous snakes that equates to a de facto ban. The language required by the insurance provision is prohibitive. Most people will not be able to obtain coverage. --SB 310 creates a ‘restricted snake’ list that would make owning a constrictor snake over 12 feet long costly and burdensome. --SB 310 is very vague as to how animals will be kept. Standards of care have not been determined and will be promulgated through the rule making process by ODA without any expertise in the care of reptiles. --SB 310 sets a dangerous precedent for other states. 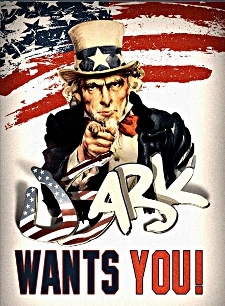 Click here to read detailed USARK SB 310 Impact Summary. Click here to read SB 310 as passed by the Ohio General Assembly.